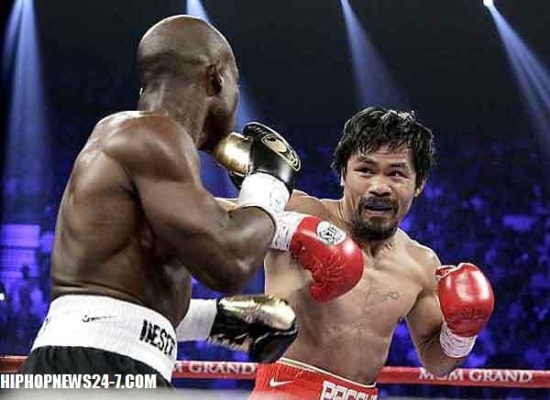 Atlanta Blogger: Manny Pacquiao loses to Timothy Bradley.In a stunning decision, unbeaten Timothy Bradley (29-0) won a split-decision victory over eight-time world champion Manny Pacquiao (54-4-2) at the MGM Grand Gardens Arena. Two judges scored the WBO welterweight title fight 115-113 for Bradley, who appeared to be trailing all night. The third judge gave Pacquiao a 115-113edge. The results were loudly jeered by a near-capacity crowd in the arena, many of whom stood stunned at their seats. Here is a round-by-round recap of the fight (scoring is unofficial).